Bofors: The Truth Lies Here! Incidentally (or purposely ? 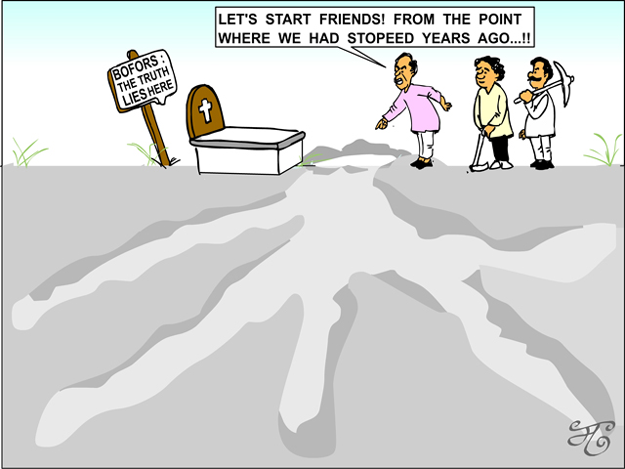 ), the shape of roots below burial site in the cartoon resembles Congress party election symbol ! !